The 1960’s British music scene afforded one of the greatest bands the world would ever see, Cream. Jack Bruce provided the rhythm for which to do it. As a musician and person, Jack Bruce has a legacy to leave behind. “If in 100 years, a kid picks up a bass [guitar] and plays ‘Sunshine of Your Love’ I’ll have done my job.” With the uncertainty of the industry and it’s pendulum swings, we are all sure to see changes in the future, but according to Jack Bruce, rock and roll will not die…it will just “re-invent” itself. 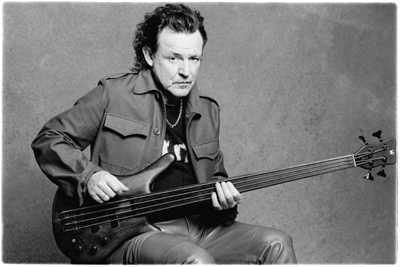 You can catch Jack Bruce and his eclectic band at The Park West in Chicago, IL on December 14, 2001.